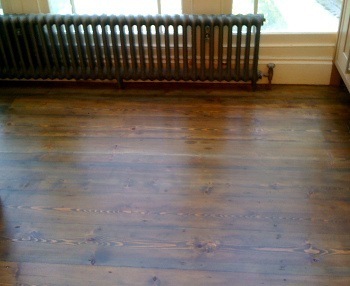 When you want to make a room instantly more attractive, book our wood floor sanding in Lambeth. Choose qualified and experienced craftsmen to bring faded glory back to timeless splendour. With a few days hard work we'll transform your home, office, other business premises, or even your rental properties into something eye-catching, warm and comfortable. You'll be adding value to your property through the renovation of your hardwood, parquet or softwood flooring, and the modern equipment assures you of a dust-free and tidy piece of workmanship too. Repair and Restoration: This involves the fixing of loose floorboards, hammering down old nails, and strengthening old or weakened joists. Sometimes we need to replace rotten floorboards, in this case we'll use reclaimed timber which matches your original floor as closely as possible. Gap Filling: To leave a silky finish and ensure that your restored floor will not become a dust trap. A smooth finish will also make your floor easier to clean. 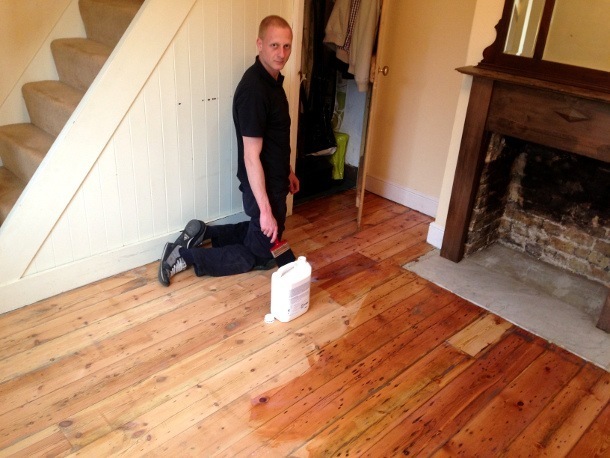 Floor Sanding: Your floor will be treated with a three stage sanding process to lift old varnish and bring it to a condition which is ready for the finishing processes. Floor Staining: When you'd like a darker finish than your natural wood colour. We'll prepare test patches so you can choose the tone that suits your tastes. Finishing and Floor Sealing: This final stage ensures you'll end up with a durable, beautiful and water resistant finish. According to the age of your floor and it's intended usage we'll recommend natural beeswax, oil, or a modern hard wearing varnish. Water Damage: Your water resistant finish will mean that spills will lie on the surface. Wipe them dry promptly and you'll protect the floorboards from staining or warping. Scratches: Limit your pets access to the room if you can, though we recognise that this is a lifestyle choice. Doormats at entrances will cut down on grit which acts like sandpaper on your newly sanded floor. Sunlight: Good quality blinds, drawn against sunlight will protect stained floors from fading. We have a variety of contact options, so as a landlord, home-owner or a commercial property manager you'll always find it easy to get in touch. Call us 24/7 on 020 3404 4979 to arrange a convenient time for one of the professional floor sanding technicians to visit. They'll assess your floor, discuss your options and preferences and provide your no-obligation quotation. Alternatively, organise your quote through our live chat service or arrange a call back from us by leaving your details on our contact form and indicating when you'd like to hear from us. Allard & Co - Supplier of domestic and commercial flooring in Lambeth. Floors-2-Go - Experienced wood flooring supplier in Brixton Hill.